There are a few cafes that specialize in a specific breed. 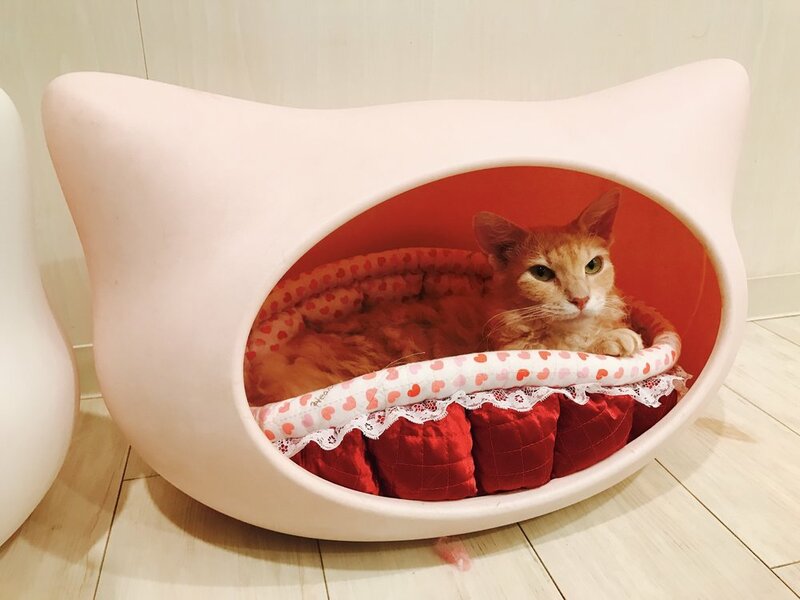 Besides 4rest, a Seoul cat cafe that features Norwegian Forest cats and Cat World in Beijing with their clowder of striking silver/black shorthairs, now, you can add Curl Up to the list. Curl Up is home to several LaPerm cats and the cafe's moniker is an ode to the curly hair they sport. 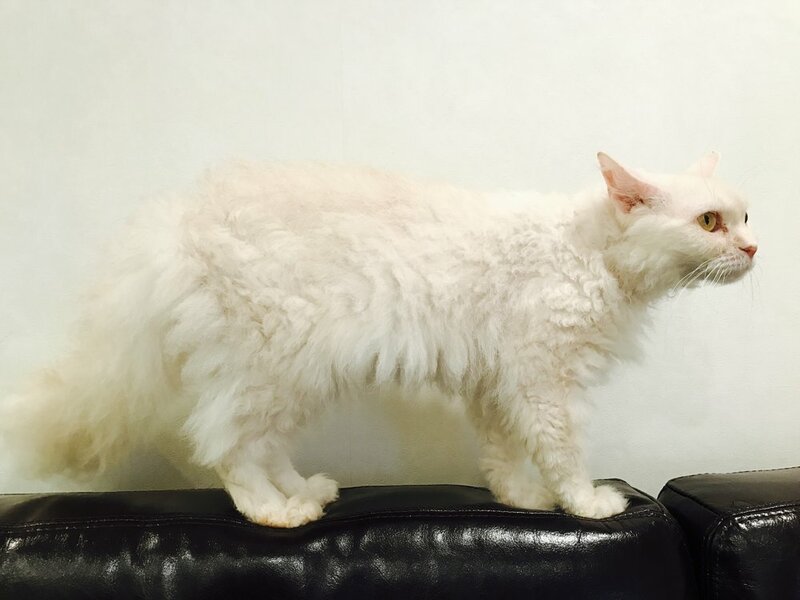 In addition to being a cat breeder, the owner attends cat shows and has won numerous medals and awards which line the walls. Located on the Meguro train line, the cafe is a bit outside the major Tokyo commercial district. I hopped off at the Nishikoyama stop where the cafe is literally right outside the station. Inside, it was small, yet clean and fresh with lots of light wood and glass decor. I paid a gobsmacking Y1620 ($14.48 USD!) for 90 minutes (the minimum time allowed) but includes a free drink. I ordered an iced coffee. There are eleven cats in residence at Curl Up, including seven LaPerm. Most were young and playful, but there was one older boy, a black long-haired fellow that looks like he has highlighted tips and is probably the biggest cat I've ever seen, larger than the ginger giant found at Cat Cafe Budapest. While I appreciated the clean space of Curl Up, it wasn't particularly cozy with somewhat of a clinical feel. There are some nice moments to be had here, but unless you are a huge LaPerm fan, there are more convenient choices in the Tokyo area.